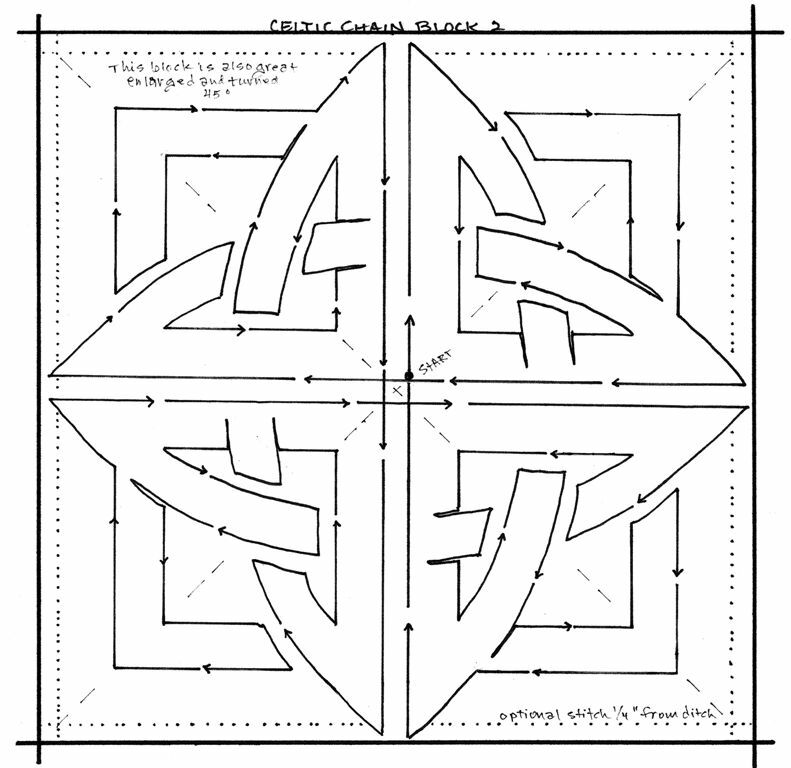 This unique border pattern “Set”, with a Traditional Celtic appeal, will add a great finish to your Irish Chain quilts. 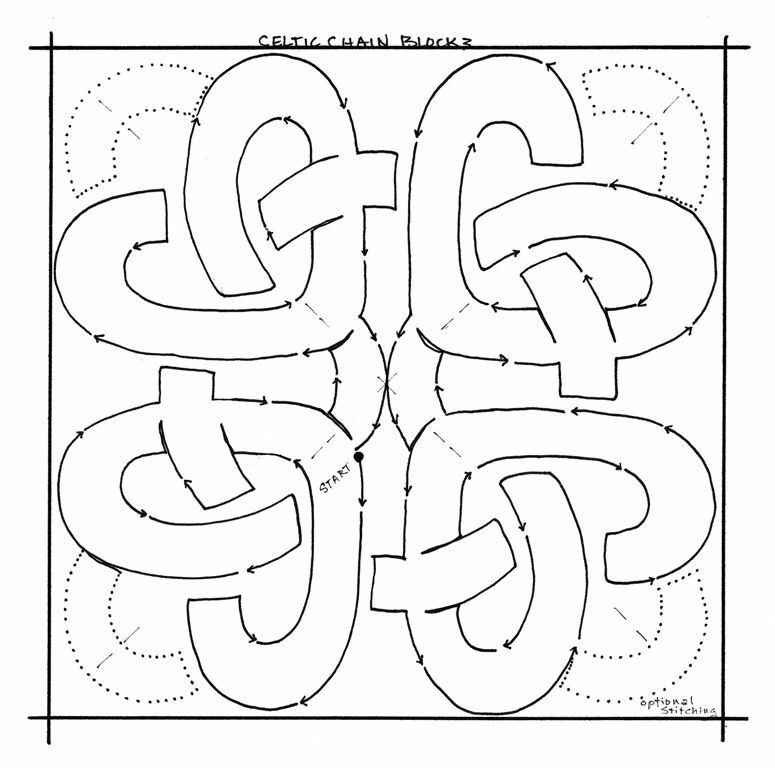 Blocks: The pattern roll includes 4 Interchangeable 10” Blocks which could be used straight or on point. 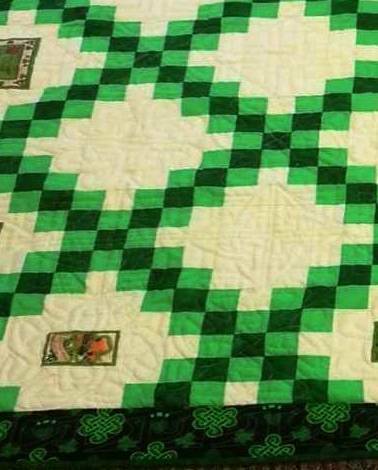 Blocks #1 & 2 as well as the Celtic Chain Border can be easily broken down into P2P for “setting triangles” on a quilt with blocks on point. I recommend SID to separated the blocks and add definition. Choosing 2 blocks and alternating them gives a nice affect. 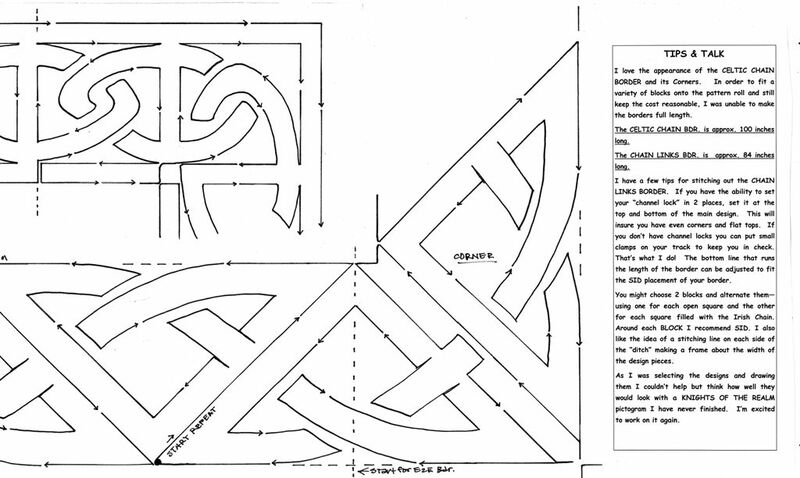 Enlarging block #2 and setting it straight will provide a strong diagonal look perfect for the actual Irish chain blocks. 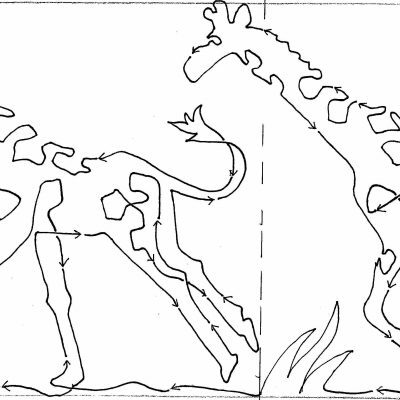 Borders: Both include corners. 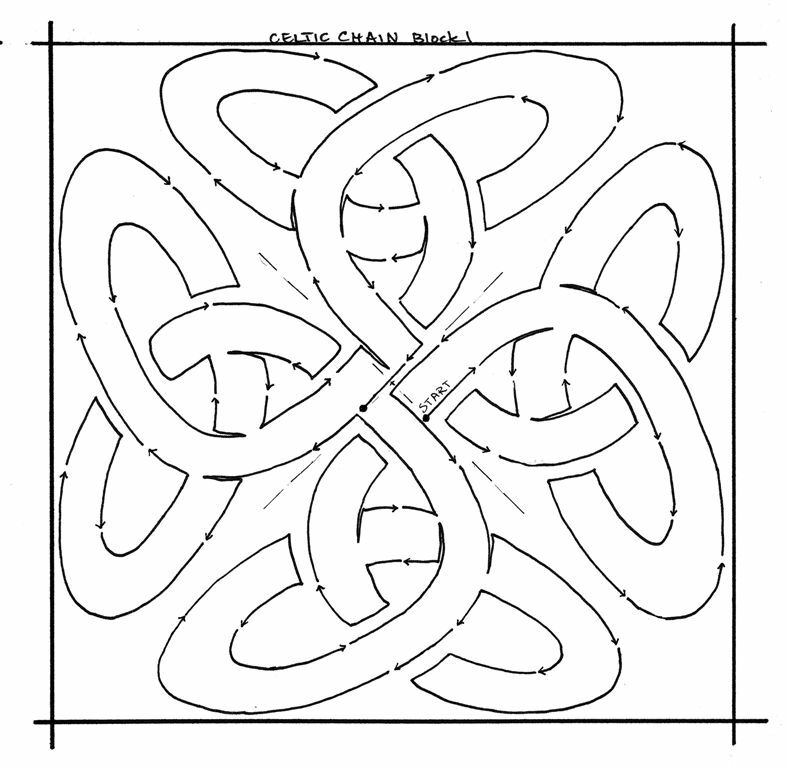 The 5” Celtic Chain Border measures approx. 100” in length. 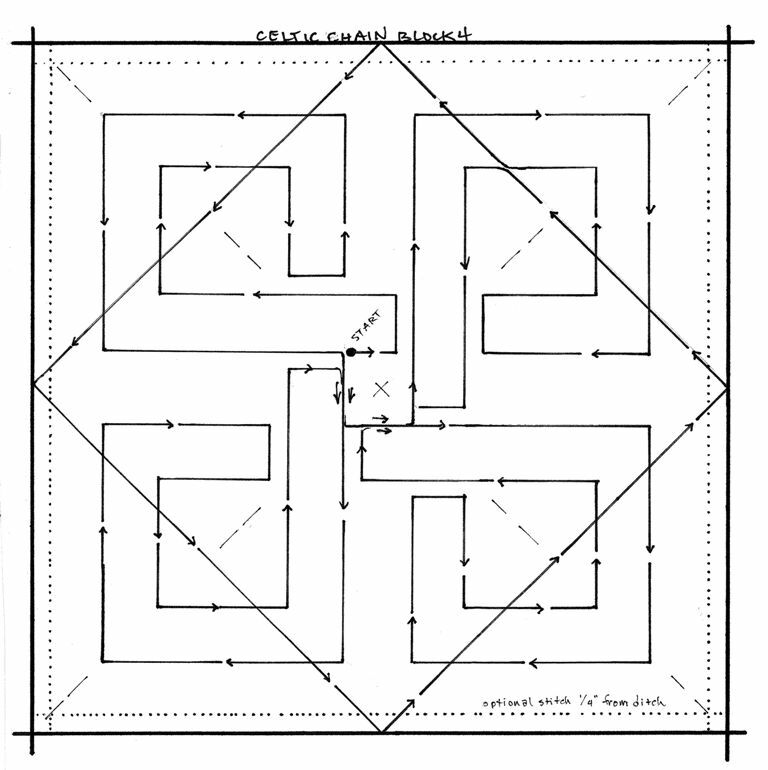 The Chain Link Border measures approx. 85.” Tips for stitching are printed on the roll. 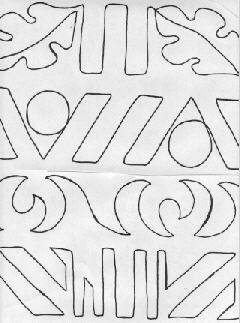 The little 1 .75” Single Chain Border may be copied and taped to form a border or sashing pattern. 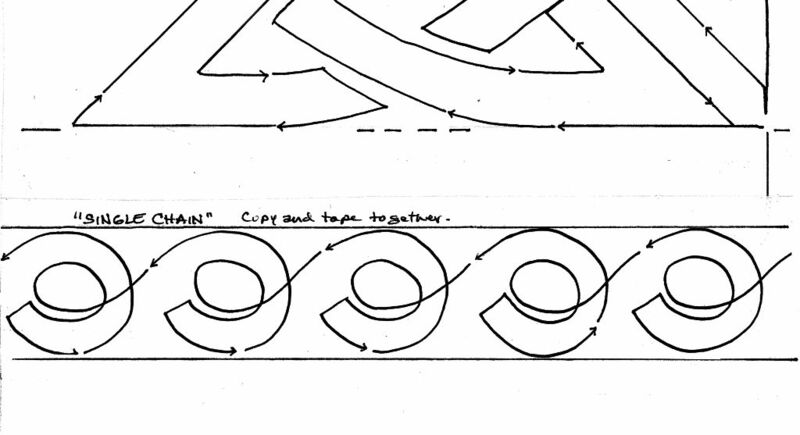 It’s included at the end of the roll. There just wasn’t room on the paper to print it all out. Although the borders are not engineered to fit as E2E patterns, you can achieve a modern or masculine look by alternating the 3 in rows. 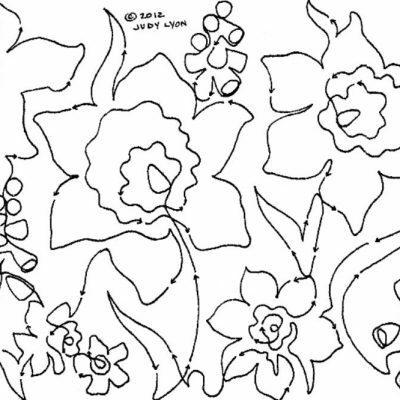 Have fun with all these designs. 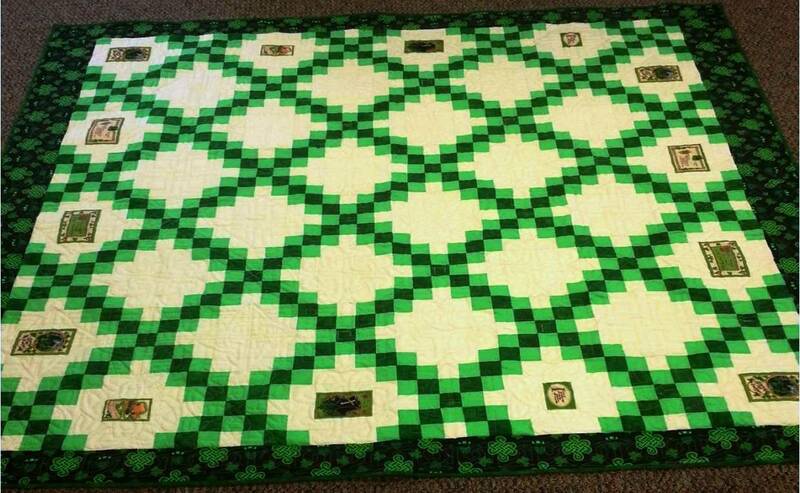 Pictured: My friend Mildred made this very green Irish Quilt. Mildred Jordt liked this on Facebook.